There’s something about knowing what creatures sniffed your tent in the night or walked along the path ahead of you. And yet, so often those signs are a mystery to us. Well they needn’t be. 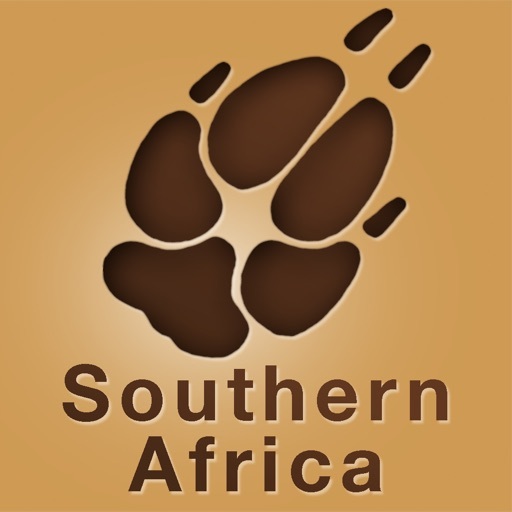 iTrack Southern Africa is a new, easy-to-use digital field guide that takes our communal knowledge of Southern African mammal tracks to another level altogether. It is accessible enough for those outdoor enthusiasts with nothing more than a casual interest in the footprints they come across and yet contains enough accurate and quantifiable information to be a powerful tool for hunters, researchers and expert trackers. 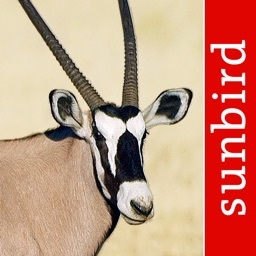 It breaks new ground in documenting the commonly used gait patterns of many Southern African mammals and makes use of over 2000 measurements to bring users never before published detail on track dimensions. • Track and sign information for 50 Southern African mammal species (this number will continue to be added to in future updates). 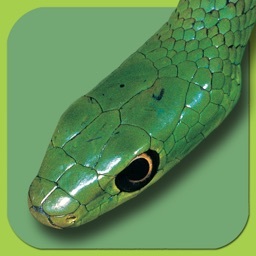 • Over 650 high quality track, sign, and animal photos with captions that point out key identification features. • Scale bars with precise measurements next to many track and sign photos. 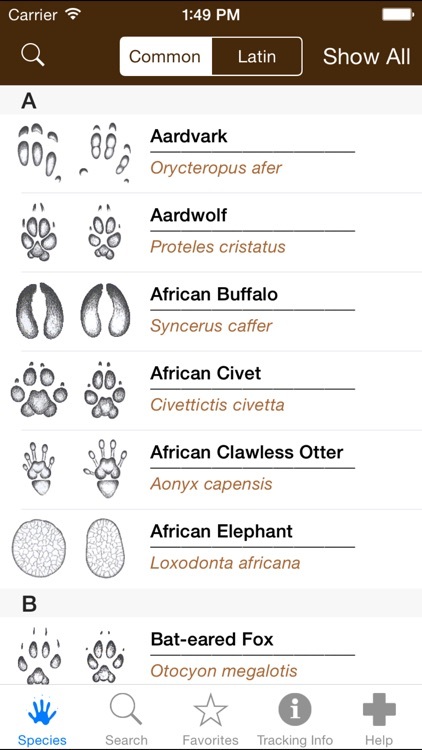 • Hoof, paw or foot photographs for a number species. • Photographs of commonly used gait patterns. • Detailed descriptions for both front and hind tracks. 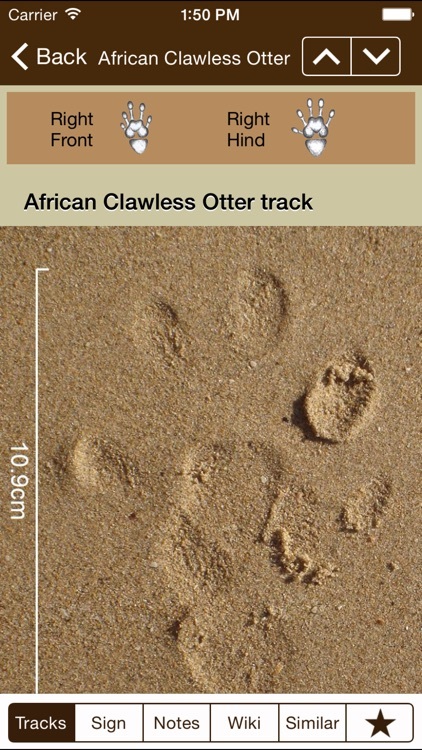 • Accurate track measurements for a number of track dimensions including, for certain species, claws lengths and intermediate pad widths. 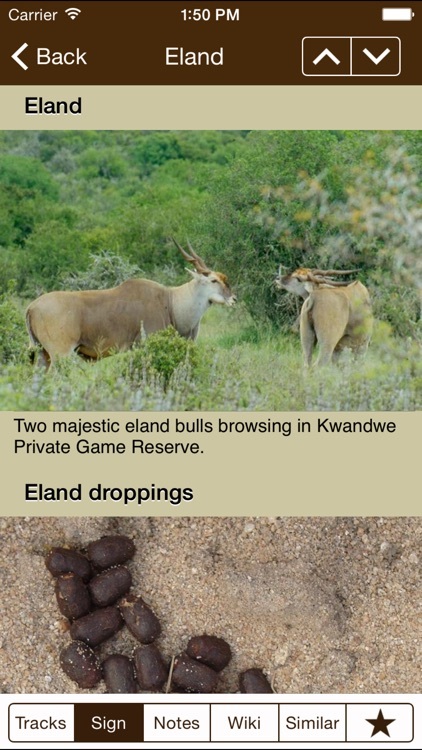 • Detailed dung, gait, and similar species descriptions. 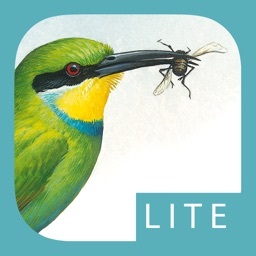 • Wikipedia pages for each species - stored in the app to allow viewing with no internet connection. • Information sections including how to measure tracks, basic track anatomy, gait patterns and trailing animals, including a novel section on the psychology behind tracking and how to focus your thinking to maximize your chances of successfully tracking down an animal. 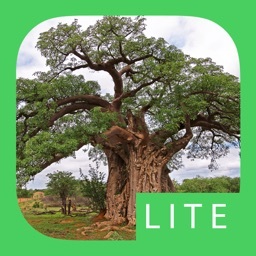 iTrack Southern Africa, goes far beyond what a traditional field guide can offer with a powerful search tool developed by Jonah to simplify track identification in the field. It makes use of basic track features, length and width measurements and your locality to narrow down the options. If you’re not sure what criteria to choose, just leave it out and the tool will still provide you with a list of possibilities based on the information you have given it. iTrack Southern Africa is a collaborative effort between Dave Hood, a South African Field Guide and Naturalist with a passion for tracking who provided the bulk of the content and Jonah Evans – a wildlife biologist, the Texan State Mammologist and a CyberTracker track and sign specialist and evaluator. Jonah is also the producer of iTrack Wildlife – the definitive North American digital mammal track guide. 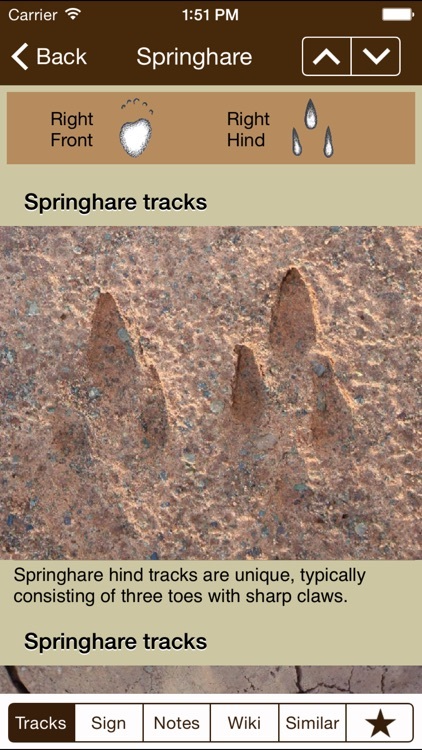 The app uses Louis Liebenberg’s drawings which are broadly considered to be the most accurate depictions of Southern African animal tracks. 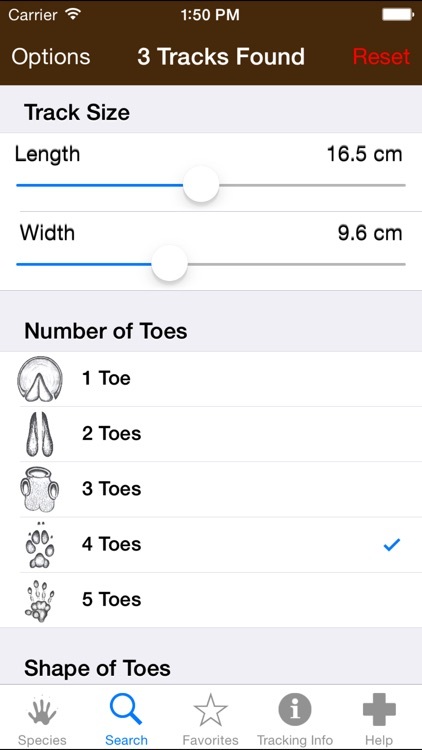 It is available for iPhone, iPad and iPod Touch.